Hubert Hedley Greatorex was born at 59 Hubert Grove in Stockwell on 3 October 1888, the eldest of the three children of Arthur and Fanny Greatorex. The census of 1891 shows the family still living at 59 Hubert Grove along with uncle Jabez C Young. On 15 May 1893, at the age of four, Hubert started at Stockwell College. When the census of 1901 was taken the family were living at 31 Mayflower Road in Stockwell, but Hubert was away at the well regarded school at Gosberton Hall in Gosberton, Spalding, Lincolnshire. Hubert was baptised at St.Leonard's church in Streatham on 4 September 1904 at the same time as his father. Their address at that time was at Gleneagle Road in Streatham. He enlisted in the 23 Battalion County of London Regiment of the Territorial Force on 11 February 1909 and he gave his address as Homelea, Lucien Road, Tooting. Hubert had become a professional athlete and had moved to 207 New Road in Chatham, Kent where he met and married Annie Marion Sowden on 4 April 1909. Son Arthur Philip was born in Streatham on 27 October that year. The electoral register of 1909 shows Hubert at 103 Tooting Bec Road, London SW17. The census of 1911 shows Hubert and Annie and their son Arthur living with Annie's parents at 28 Stapleton Road, Upper Tooting. That address is confirmed in the electoral register of 1911. The 1913 electoral register shows Hubert, and presumably his family, living in an unfurnished ground floor flat at 3 Nimrod Road, Streatham. The building was owned by Harold Fairweather. Postcards sent to members of the family confirm that address. Hubert's daughter Irene Ada was born at 279 Balham High Road on 1 December 1913. On 5 September 1914, Hubert was enlisted into the 20th London Regiment, being allocated soldier number 2784. At that time the family was living at 103 Tooting Bec Road in Upper Tooting. His medical inspection report noted his height as being 5'9" and his chest measurement as 34". On 9 March 1915 he sailed from Southampton, arriving at Le Havre the next morning. On 26 March he was sent home with what was listed as 'Osteritis'. He sailed again to le Havre from Southampton on 10 November and had time to send a couple of postcards home at Upper Tooting. He was sent home again on 28 November having suffered a 'Disorganised knee'. The story in the family late was that he had a scar on his knee due to a bayonet wound. On 3 March Hubert was awarded 28 days Field Punishment 2, but the transgression is not known. He was discharged on 2 June 1916 as medically unfit and subsequently received a pension of 4/8 for a period of eighteen months from the Royal Hospital at Chelsea. On 20 April 1918 Hubert enlisted in the Royal Naval Reserve and served on President IV as shown in the Navy List of 1919. 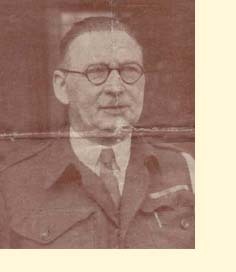 For his service Hubert was awarded the British War medal and Victory medal which he received in 1922. Soon after leaving the army, Hubert left his wife and children and set up home with Lilian Alice Claridge. Their daughter Constance was born in 1917 but only survived until the following year. They were living at 432 Milkwood Road in Brixton when daughter Doris was born on 23 August 1919. Hubert was working as a Commission Agents at that time. In 1946, Hubert stood for counceller for the Abbey Ward of Merton and Morden Urban District Council. He worked for Wimbledon Council at the Town Hall until his retirement about 1952. Latterly his occupation was given as Statistics Officer. Whilst there, he was somehow involved in an event at Cannizaro Park on Wimbledon Common, organizing the "Wimbledon Theatre" with puppet shows, magician, concert party, escapologist, ventriloquist and, from the photographs, a snake handler. He was a founder member in 1949 of the Merton Abbey Horticultural Society and was responsible for obtaining sponsorship and prizes for their annual exhibitions. The poster for the 1952 annual show boasts over 150 prizes and I do remember many of them in the front room at Liberty Flats. They also sponsored the Greatorex Challenge Cup for the best garden. They celebrated their 'Wedding Anniversary' every year with their family who organised a large family gathering to celebrate their Golden Wedding some time in the late 1960s. No one knew or let on except Eva, one of Lilian's younger sisters, that Hubert and Alice had only got married on 14 April 1964 at Morden. The family believe that Hubert had read or been told that his wife Annie had died so they had decided to go legitimate. Hubert died of a heart attack in Wimbledon Hospital on 2 April 1970. His wife Alice survived him and passed away in 1983.